Coke briquette is a kind of fuel briquette that can be used as the blast furnace coke instead of metallurgical coke. 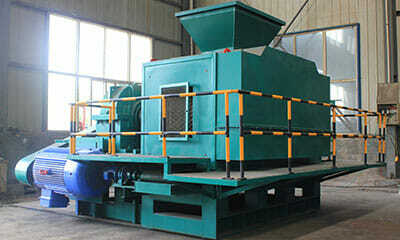 It can also be used in casting (including steelmaking and iron), fertilizer, gasification and civil industries. Coke briquette comes from the coke briquetting process, the way which uses a coke briquetting machine to briquette unbonded coal, weakly cohesive coal or coke fine, the utilization rate is as high as 70% to 90%. The production of coke briquettes by coke process technology is very meaningful and promising in today’s shortage of high-quality coking coal resources. Casting coke refers to the coke used in cupola melting iron. The molten iron process of the cupola is different from the blast furnace ironmaking process, so the coke requirements are also different from the metallurgical coke used in the blast furnace. The role of foundry coke in the cupola is mainly as a fuel, providing the heat required to melt, superheat and adjust the composition of the molten iron. Ensure that the stock column has good gas permeability so that the furnace runs smoothly. It has a higher coke ratio. For this purpose, the cast coke is required to have a larger and uniform blockiness than the metallurgical coke, a smaller porosity, and a weaker combustibility. The size and uniformity of the foundry coke block is the decisive factor affecting the gas permeability of the cupola furnace, and has a certain proportional relationship with the diameter of the cupola. This ratio is 1/10 to 1/12 for large cupolas (>10t/h) and 1/6 to 1/9 for small and medium-sized cupolas (<10t/h). When using the coke with small size and unevenness, the air supply depth is shallow, the resistance in the furnace is large, the hot metal temperature is not high, the melting rate is lowered, and the consumption and the scrap rate are correspondingly increased. Metallurgical coke is produced by cohesive coal in a chamber type coke oven, a unidirectional laminar heating coke. The shrinkage is large when solidified, with lots of coke cracks, so the coke is small and uneven. Coke briquette is an artificial fuel briquette. The size and shape of the coke briquette on the size and shape can be determined as needed. Since the coke briquette is mainly prepared from coal with poor cohesiveness, the carbonization method and speed can be selected according to the characteristics of the coal material, makes the coke briquette with few cracks, and the integrity of the coke briquette degree can be well ensured. Cast iron has higher requirements for ash and sulfur, especially for sulfur. This is because the molten iron process of the cupola is determined by the characteristics of the sulfur-increasing process. In the cupola, the molten iron is mainly derived from coke. The sulfur content per 1% of coke increases the molten iron by 0.05%. The effect of sulfur on the quality of molten iron is well known. Excessive sulfur directly affects the quality of castings. The ash content mainly affects the fixed carbon content and calorific value of coke. The ash content leads to a decrease in the coke ratio, which also affects the temperature of the molten iron and increases the scrap rate. Ash and sulfur and other impurities of coke briquette are all from raw materials, and the raw materials of coke briquette are mainly non-coking coal, which is rich in resources. During the feeding process, it can withstand the impact of large iron falling without breaking into small pieces to ensure the integrity and uniformity of coke. These require coke to have a certain cracking resistance strength, and there is no requirement for the abrasion resistance. This is the characteristic of the coke briquette. The wear resistance of the coke briquette is often lower than that of the metallurgical coke, but the cracking resistance strength is higher than that of the metallurgical coke. Study shows that the pressure on the bottom of the cupola is only 0.5 to 1 kg/cm2, while the compressive strength of a single coke is generally hundreds of kilograms. It is obvious that the mechanical strength of the coke has already exceeded the requirements of the cast coke. Cast iron process requires small coke porosity and low reaction capacity to increase the duration of coke combustion, ensuring that the molten iron process is always in a balanced high temperature state. Data shows that the temperature of molten iron decreases as the porosity increases. The porosity of metallurgical coke is generally 45% to 55%, which does not meet the requirements of foundry coke. Coke briquette is made by co-extrusion and carbonization of unbonded or weakly bonded coal. The obtained coke is denser and has a smaller porosity, generally less than 40%, which can meet the requirements of foundry coke. The use of coke briquette as a casting coke can save energy and reduce scrap rate. One of the advantages of coke briquette as a coke for casting is that the coke blockiness can be large and uniform, which not only facilitates the smooth operation of the cupola, but also receives the economic effect of reducing the scrap rate. Non-coking coal such as low sulfur and low phosphorus is used as the main raw material, and its low sulfur and low phosphorus characteristics provide a reliable guarantee for manufacturing high strength and high quality castings. The machinery industry is an industry that produces mechanical products. The grade and quality of mechanical products directly affect the technology and development level of production in various industries. Therefore, all countries attach great importance to the development of the machinery industry. Castings are used for the main functional structural parts of most mechanical products. Among them, cast iron parts account for about 85% of all castings. The weight of castings for a large proportion of the weight of the product. Generally, automotive and plastic processing machinery is about 30%, tractors and ceramic machinery are about 60% to 70%, and machine tools, internal combustion engines and water pumps are about 80% to 90%. It is such a large proportion that the quality of the casting has a significant impact on the performance of the mechanical product. In order to produce high-quality mechanical products, we must first produce high-quality castings. The production of high-quality castings requires not only advanced technology and equipment, but also high-quality casting coke. 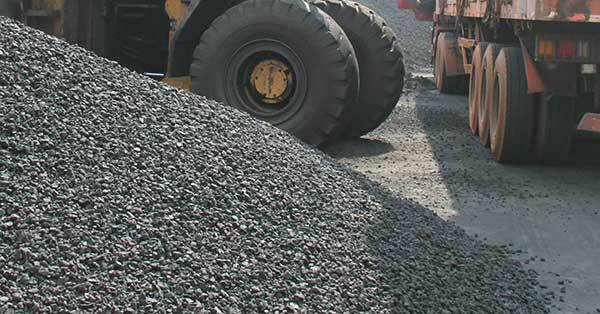 Massive use of pulverized coal – a type of non-coking coal. The produced coke briquette is uniform, briquette size can be adjusted according to the requirements of the product. 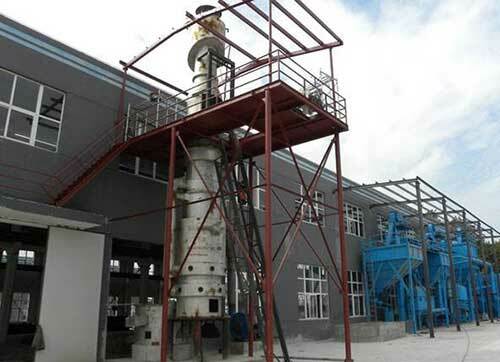 High yield, the number of finished briquette meeting the size requirements is generally above 90%, and the powder coke can be used for recycling. It has the characteristics of high carbon fixation, low ash content, low porosity, low reactivity, large block size and low harmful components of sulfur and phosphorus. It is very suitable for the smelting of high temperature and high quality molten iron in a cupola furnace. The characteristics of the coke briquetting process determine the physical properties required for the coke to have a cast coke. The chemical composition of the coke briquette can be controlled by coal selection or washing. Compared with metallurgical coke, if the coke is used as a fuel for a large blast furnace, it is not as good as metallurgical coke, and it needs to be further improved. However, if it is used as a coke for casting, it is far superior in quality to metallurgical coke. Coke briquette as a kind of new type fuel briquette, It is of practical significance to use it in cast iron process. Reasonable use of resources, mature production process, superior quality, promote the economy, it is really a promising product.